In order to best diversify your holdings and ensure that you have financial stability today, a year from now and even a few decades from now, your investment planning structure should contain multiple components. Together, these components help to reduce financial vulnerability and minimize risk. A vital component of your investment planning structure should be an offshore asset protection trust. Discover what an asset protection trust is, what can be placed inside of it and how it can benefit you as well as your loved ones. An asset protection trust is a vehicle that allows an individual to determine where the assets contained within will go in the future. As the name implies, the asset protection trust is a way to better protect your assets. Should you or your business be declared bankrupt or have your assets frozen, what remains in the trust will be untouched. When you place assets within the trust, you can also greatly reduce your tax burden. 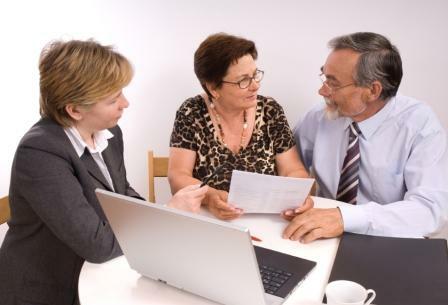 Asset protection trusts are established for a number of reasons, but many people choose to use them as a type of financial safety net in the event of a legal crisis or perhaps even for loved ones to benefit from years from now. There are countless benefits of establishing an asset protection trust. First, you'll be shielded from creditors. Since the assets are no longer in your direct possession, they can't be seized or removed as a result of bankruptcy or virtually any other legal proceeding. Second, an asset protection trust can be a wonderful way for you to earmark certain assets for your loved ones. You might set aside a piece of real estate that has always remained in the family to ensure that your son receives it after you're gone, or you could ensure that there is enough money for your grandchildren to attend college decades from now. Asset protection trusts are also a great way to donate to charities that are important to you as part of your estate planning process. If you are sold on the idea of establishing an asset protection trust, the first thing to understand is the terminology. You, the grantor, will be responsible for deciding what assets you would like to be included within the trust. A trustee will be appointed by you to carry out your wishes and ensure that the assets contained within are managed properly. In some jurisdictions, a third party is needed to ensure that all laws are being followed and the trustee is acting in accordance with the grantor's wishes. Asset protection trusts can be established in Rhode Island, Delaware, Nevada, Alaska and South Dakota, but many investors prefer to establish their asset protection trusts offshore. In an offshore jurisdiction, you could have even more favorable tax benefits for these secured assets. Plus, many destinations offer lower maintenance and management fees, helping the net worth of the trust to grow over time. Finally, many investors prefer offshore asset protection trusts because they can be created privately and won't undergo intervention from the government. As you begin outlining the various elements of your investment planning structure, don't forget about an asset protection trust. Offering security for your assets and a shield from taxation, these trusts can be a helpful tool for any investor.